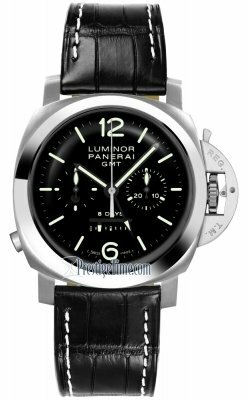 Flat black dial with recessed luminous hour markers. Black hands with luminous filled center. 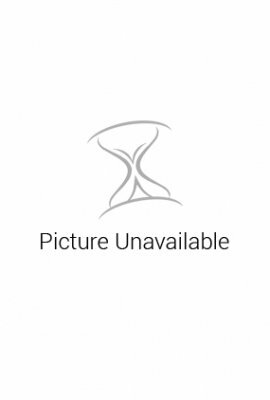 Fine brushed steel case with a polished steel bezel & case back. Luminous Arrow-Headed hour hand for an additional second/GMT Time Zone. Small Seconds Sub-Dial located at the 9 o'clock position, with an additional opening (light or dark) that indicates when the GMT is in AM or PM mode. 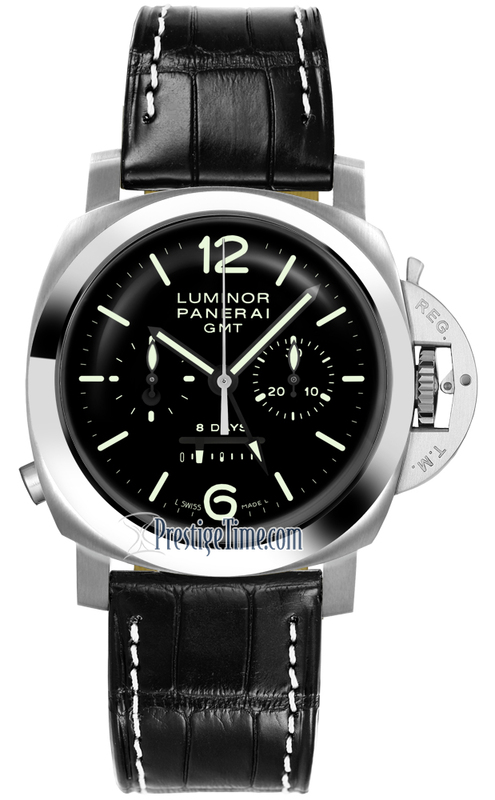 Linear Power Reserve indicator located at the bottom of the dial. 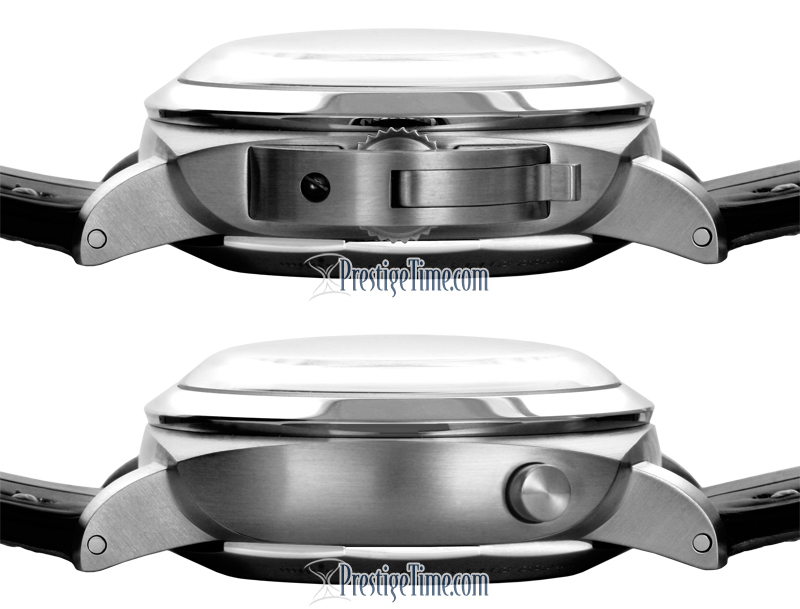 Sing-Button chronograph - button located on the case edge at the 8 o'clock position. 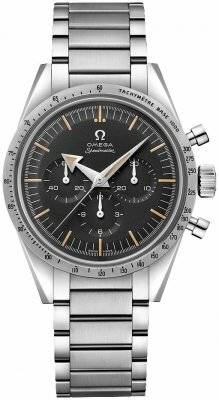 The button starts, stops & resets the chronograph. Instantaneous seconds reset - when you pull out the crown to correct the time the seconds hands automatically jumps directly to 0, thus allowing for exact time-setting. 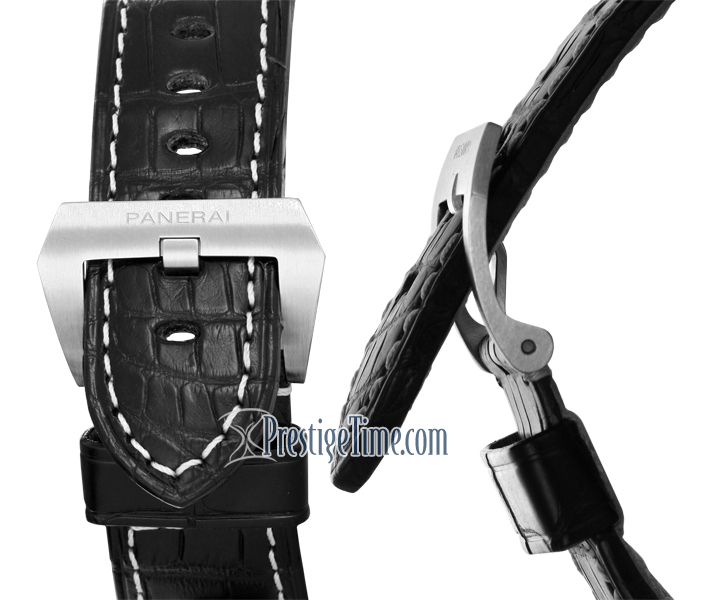 Comes with an additional Panerai branded rubber strap & tools to easily change straps. 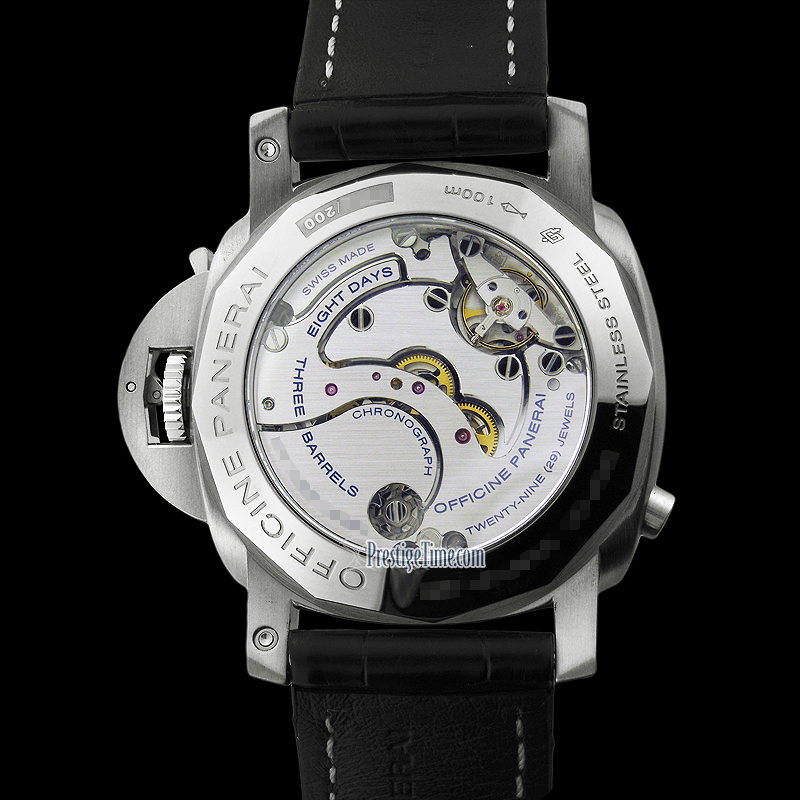 Panerai Calibre P.2004 - a totally in-house movement by Panerai. 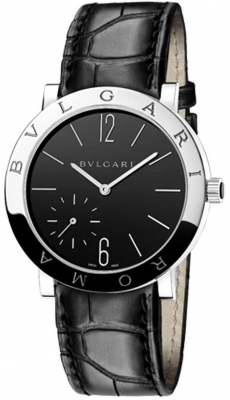 Mechanical Manual Wind Movement with an amazing 8 day Power Reserve accomplished by the use of 3 barrels. Made of 321 components with 29 Jewels & beats at 28,800 vph.